There's just something about Chicago-based artist and musician Jeffrey Michael Austin's I'm Not Worried About You. Perhaps it was the contrasting message that was almost painful to look at. 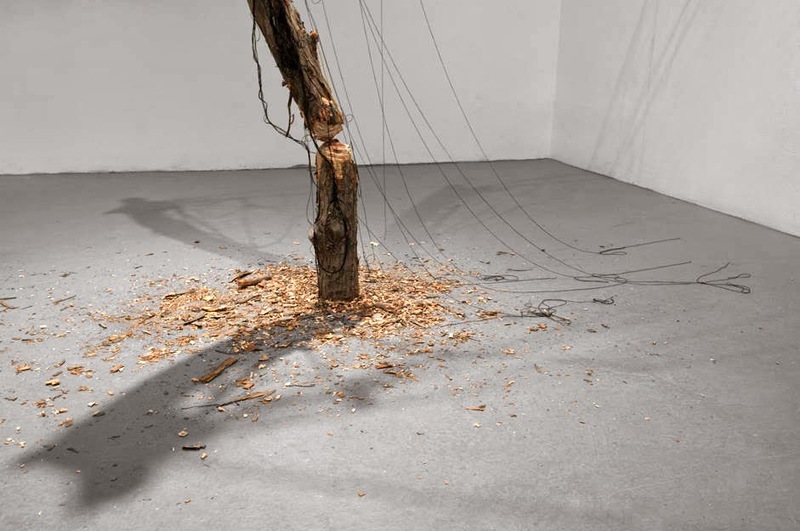 This particular installation was created using nails, thread and wood. 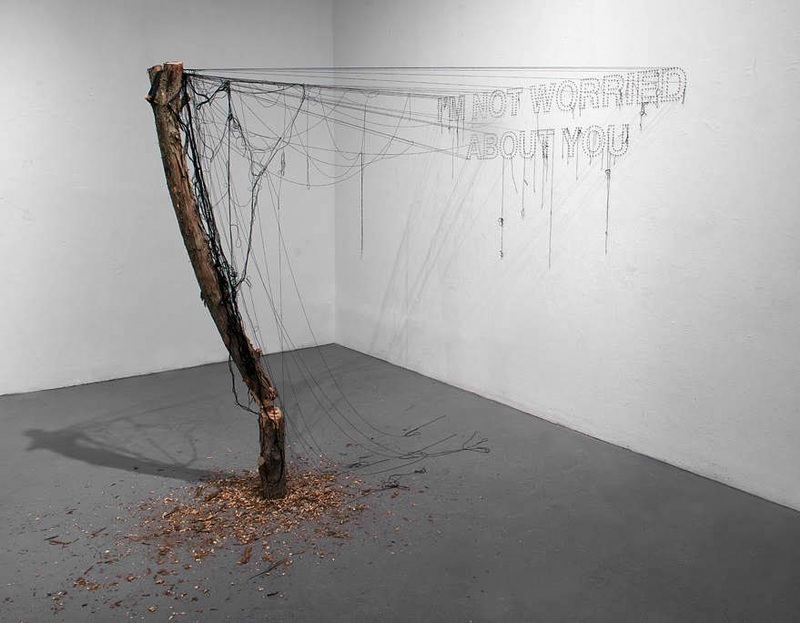 The artwork showcases a severed tree bound to the message on the wall, "I'm not worried about you." But we can see that almost all the thread connecting the tree to the nails have snapped, also creating a weave of entanglements. I particularly like the opposing message of the words I'm not worried about you and the almost broken tree, with most of its bark chipped off and scattered on the ground, and with just a little nudge, everything will fall apart. The tree would be broken but it would also be free from being tethered to the wall. Everything about this is absolutely gripping and thought provoking. 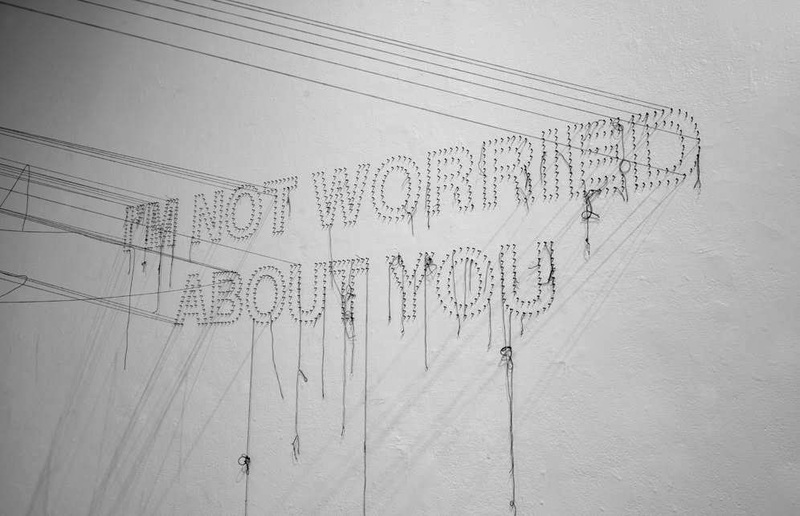 I'm Not Worried About You is part of Austin's series of installations called A Language Older Than You. I also like his other works Eternally Composed and Always and Ever is Never Enough. You may check out his recent interview with Bite Magazine here, or read a review of his latest installation from the A Language Older Than You series, You Have No Idea, here.